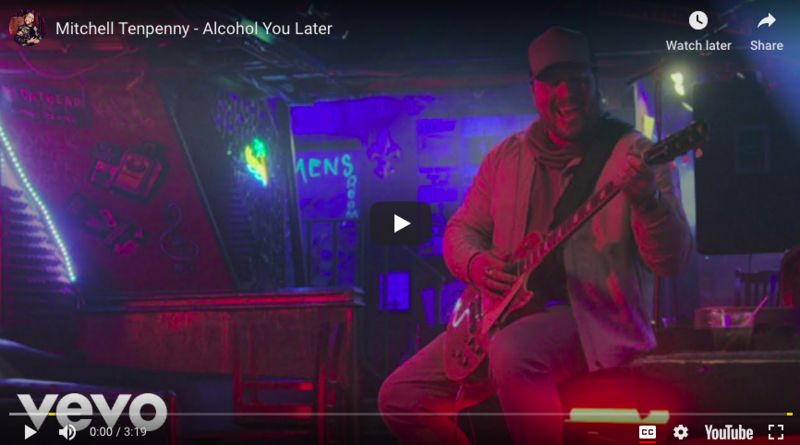 Mitchell Tenpenny is following up his first Platinum-certified smash No.1 “Drunk Me” with his new single, “Alcohol You Later.” The up-tempo track is a lighthearted spin on the notorious ‘drunk dial’ after a breakup. Mitchell’s music video for his last hit single, “Drunk Me” has over 33 million views. Mitchell was just nominated for New Male Vocalist at this years ACM Awards, and he was the biggest new album debut of 2018 with the release of Telling All My Secrets. He’s been tapped as one of Pandora’s Artists to Watch in 2019, MusicRow’s Next Big Thing honorees, and The Tennessean’s Next Nashville Stars for 2019. Mitchell just wrapped his 12-date “Telling All My Secrets Album Release Tour” in February, and is joining Old Dominion’s “Make It Sweet Tour” as an opener this Spring.